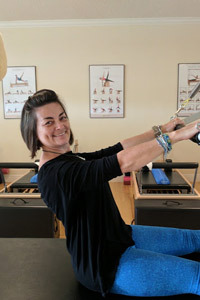 Natalie A. Larson, Polestar Pilates Studio Practitioner, teaches individual, duet and Reformer Pilates classes at Amato Chiropractic Wellness Center. Avenues of instruction can be therapeutic rehabilitative exercise or for general physical fitness/wellness for novices to athletes. Natalie has a passion for teaching and for encouraging others to reach their full potential at whatever stage of life or healing they may be in at that moment. 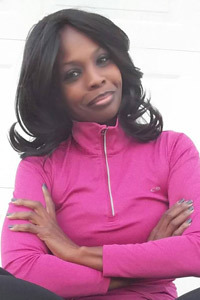 She has a Masters degree in Special Education and over 10 years of teaching experience in the public school system. Her Pilates training from Peak Pilates and Polestar Pilates creates an ability to design a program set specifically for individual needs and goals. The Polestar Pilates Comprehensive training assisted Natalie in learning how to adapt general Pilates movement to a more therapeutic avenue for rehabilitative exercise progressions. Also having work experience in several fields increases her ability to create realistic fitness plans for a variety of lifestyles. Her personal love for yoga and Pilates as forms of exercise, rehabilitation and enrichment are blended with her love of teaching and learning. Natalie is excited to be able to assist in helping others grow in their own personal practice to target, train and heal their whole self! Request an appointment at Kingsland Chiropractic and Pilates office today and take the first step to better health.